A fabulous brand and fabulous publicist go hand in hand for me. And there's no better marriage of the two than Mario Badescu and Nicole Darmanin. Not only is Mario Badescu one of my very favorite brands of all time, but Nicole is simply one of the smartest, sweetest PR people around! Truth be told, I'm a little jealous that she gets to be around so many spectacular products all the time. Read on to find out which serum she can't live without, the product she uses for her curly hair and so much more. I grew up in Queens and Brooklyn and went to high school and college (F.I.T.) in Manhattan. Both of my parents grew up here also. 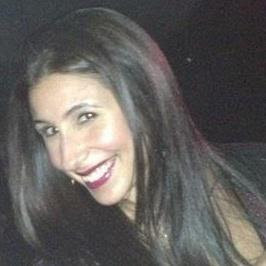 I am such a New York City girl [that] when people ask me what my ethnic background is, I tell them I’m a Brooklynite. How did you first become interested in beauty, and what led you to work in beauty PR -- and more specifically, for Mario Badescu? I can barely remember a time in my life when I was not obsessed with beauty products. As a teenager I worked in a shop in Park Slope that carried natural lines like Burt’s Bees, Weleda and Carol’s Daughter. After that I worked at a number of spa and beauty retail jobs, graduated from F.I.T.’s Cosmetics and Fragrance Marketing program, then was hired by Three Custom Color Specialists, where I had a very fun and multifaceted position that involved sales, education and color matching in their on-site lab. When I started at Mario Badescu I fell in love with the history of the brand and the salon’s practical, problem solving approach to skincare and aesthetics. I was with the brand for about a year when the PR position opened up, it was offered to me and the rest is history. What is your favorite part about working for Mario Badescu (or about beauty PR in general)? Any highlights throughout your career? 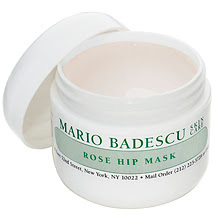 The thing that I love about beauty PR (and representing Mario Badescu specifically) is that it isn’t aspirational. Beauty can be indulgent and glamorous but at the same time, most beauty products are attainable. I love that if you read in a magazine that celebrity X is using the Mario Badescu Calma Mask, you can use it too. What are your favorite Mario Badescu products? Herbal Hydrating Serum. This is my secret weapon for keeping my skin clear, balanced and happy. Glycolic Foaming Cleanser. My daily cleanser is on the gentle side so I use this one to deep clean and brighten three times a week. Rose Hips Mask. This is my go-to mask. It is one the line’s classic formulas, my skin loves it. Special Cucumber Lotion. This one is a game changer for acne prone skin. Vitamin E Body Lotion/Vitamin E Hand Cream. Okay, this is two, but I couldn’t bring myself to choose between them. To me, these are the perfect moisturizers. They soften and hydrate without being heavy, they are gentle and don’t irritate my sensitive skin, and both formulas contain Vitamin E and honey. Armour Beauty Lip Gloss. They're really hydrating and the colors are genius. My current favorites are Nina, Grace and Barracuda. NARS Blush. They have the perfect amount of opacity. My staples are Desire and Sin. Obsessive Compulsive Cosmetics Nail Lacquer. Strumpet and Radiate always get compliments. Lush. For bath products. Their Butterball bath bomb is a must for me. Giorgio Armani. I feel like such a grownup lady when I use anything from the color line, it is just beautiful from top to bottom. Ouidad Curl Quencher Hydrafusion Intense Curl Cream. Or Black 15-in-1 when I blow it out. I love a good beach vacation. Spending time with friends is important to me. I’ve been slowly working on my apartment, for the first time ever I feel slightly domestic! Can I use Mario Badescu cream for the area around the eye?